A post that I'm sure will help many people out! I'm one of those people who look forward to Christmas from about April/May time and then begin planning what I'm going to buy everyone. However, I am also one of those people who always say 'tomorrow,' therefore my Christmas Shopping usually has only just begun around the first/second week in December. 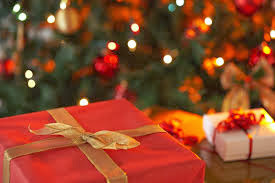 Personally, I think my shopping would become a lot easier if I planned way before Christmas what I was going to get everyone and that way I can just get it all online and start on the wrapping! I love wrapping Christmas presents. I always imagine nice ways of wrapping presents and making them look pretty but it never pays off. I get wonky cellotape, the edges don't ever match up and frankly it usually looks awful. So anyway, this is a Christmas Gift Guide for Girls! I have tried to be as versatile as possible with this post and not just base it on my wishlist. Lastly, I would just like to point out that although it is nice to have gifts on Christmas, it isn't the be all and end all. 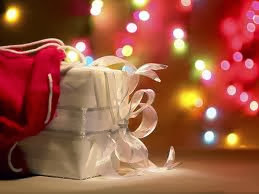 Although I do love to buy people gifts, it is important to remember that we are very lucky to be able to have gifts and there are lots of people around the world including the UK who don't even have a family to be with on Christmas, let alone to open a gift. To show a selfless deed at Christmas, we should all try and donate some of our pennies to charity, or take some gifts to a Hospice or Children's hospital or even create a shoe box full of little things to send over to developing countries. Somehting as little as a toothbrush or pencils can change a little girl or boys life. There is lots of information online if you are looking to do your bit for charity this Christmas!